4 Extra Debut. Kate Rew celebrates the life of 1920s English Channel swimmer and aquatic vaudeville star, Annette Kellerman. From May 2011. Swimmer and explorer Kate Rew tells the fascinating story of Annette Kellerman, the 1920s Australian vaudeville star and champion swimmer who dived into glass tanks, popularized the one-piece swimsuit and became the first woman to attempt to swim the English Channel. Paralysed by polio as a child, Kellerman was introduced to swimming as a therapy. When she discovered that her limbs 'found their true congenial element in water', she quickly became an ambitious swimmer. Her family moved to England to promote her and in 1904 she swam 26 miles down the Thames from Putney to Blackwall, training on a diet of bread and milk. The Daily Mail picked up her story and sponsored her to become the first woman to attempt to swim the English Channel. 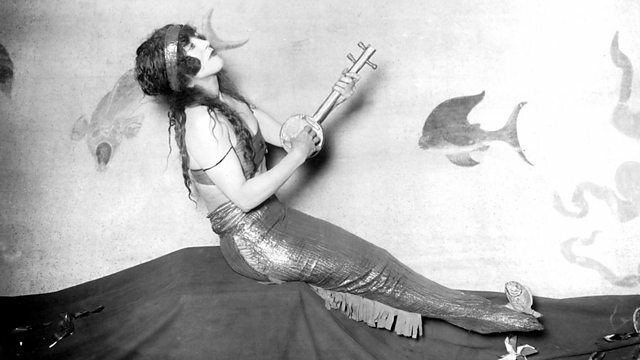 In her twenties she took a job performing her unusual water ballet act as a mermaid at the London Hippodrome. It was here that she became known as the Diving Venus. But swimming was also a political act for Kellerman. She was a campaigner for the right of women to wear a one piece swim suit. While visiting Boston Beach in 1907, she appeared before the press in a tight-fitting one-piece swimsuit and was later arrested. Using some new interviews and some archive interviews from the documentary, 'The Original Mermaid', Kate Rew explores the many layers to Kellerman's life and examines her own affinity with Kellerman's story. She talks to Margaret Drabble, another swimmer with a passion for mermaids. We hear from the dancer Beth Dean, who went to see Kellerman perform her underwater ballet in the 1920s and we hear extracts from Kellerman's own writings on swimming. 'Swimming cultivates imagination; the man with the most is he who can swim his solitary course through night and day and forget a black earth full of people who push', she wrote.